If you haven't already taken my "What's Your Decorating Style" quiz...go do it! It'll help you nail down your style and solidify what you like and don't like. For everyone else who has already taken the quiz and would like to learn more about your style...you're at the right place. So let's dive in! If you like Mid Century Modern you probably like your space to feel simple, minimal and clean. This style is all about the lines and the beauty of wood in its most simple form. Mid Century Modern (aka mid mod) is known for its tapered legs, white walls, and absolutely stunning sideboards. This is my personal favorite style! When decorating my own home, I focus on keeping the space simple in order to draw attention to the pieces I have in that room. A friend of mine once said, “The less there is, the more you see.” I live by that when it comes to decorating! Greenery is a must with this style! It’s a beautiful pop of color especially if you’ve decided to keep your space in the neutral color pallet. Bohemian (BOHO) is for the carefree. This style is all about mixing and matching colors, textures, and patterns. You think outside the box. Instead of hanging artwork on the wall, you prefer macramé or tapestries. The furniture and décor you choose is a mix of vintage, antique, and acquired treasures. Nothing matches perfectly and you prefer it to be that way. This style is all about weathered wood and warm tones. You love repurposing old pieces and making them functional again within your home. Reclaimed wood is a must and can be used for barn doors, coffee tables, or even a headboard. Some prefer a cabin feel while others prefer a barn aesthetic. Whatever your preference, both styles appreciate character and history within your furniture and home. I think it’s safe to say you’re obsessed with Fixer Upper if farmhouse is your style. You’re all about white shiplap, chunky farmhouse tables, and hand painted signs. This style blends well with rustic as you see a lot of weathered wood and antique décor. Farmhouse tends to have a more muted color scheme with white slip couches, jute accents, and wire baskets. Think metals, concrete, dark wood, and exposed brick. That pretty much sums it up. This is a more manly style as it tends to have a dark aesthetic but it’s all about showing off raw materials. Maybe you use cinder blocks to create a bookshelf or maybe you use an old warehouse cart as a coffee table. It’s common to see concrete as a form of art whether that’s on the floors or as an accent wall. The more brick and black metal the better. It’s all about creating a dope living space that feels like it was once a warehouse or old loft. You keep it classic. This style tends to be more formal but can be adjusted to fit your family and taste. 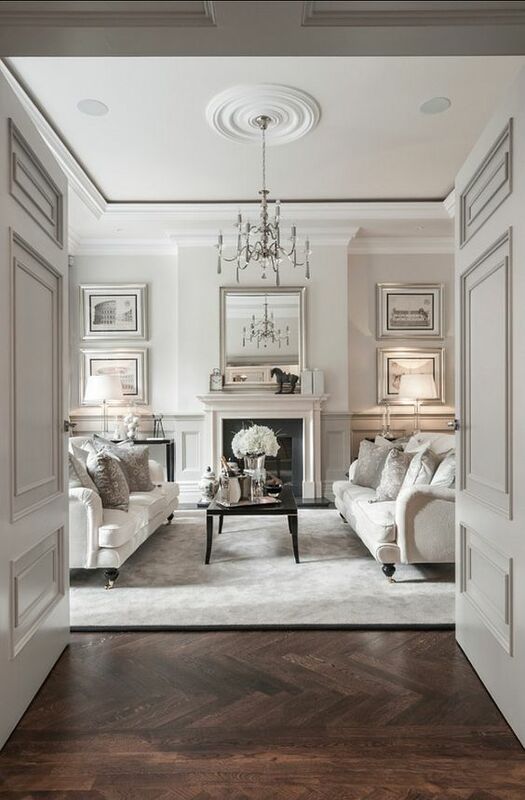 It features beautiful wood details, antique furniture, and intricate trim and moldings. Most traditional color schemes are neutral with pops of color in greenery or florals. It’s not uncommon to see bulky furniture, chandeliers, and beautifully tufted seating. You like it fancy! It’s all about the sparkle and soft textures. 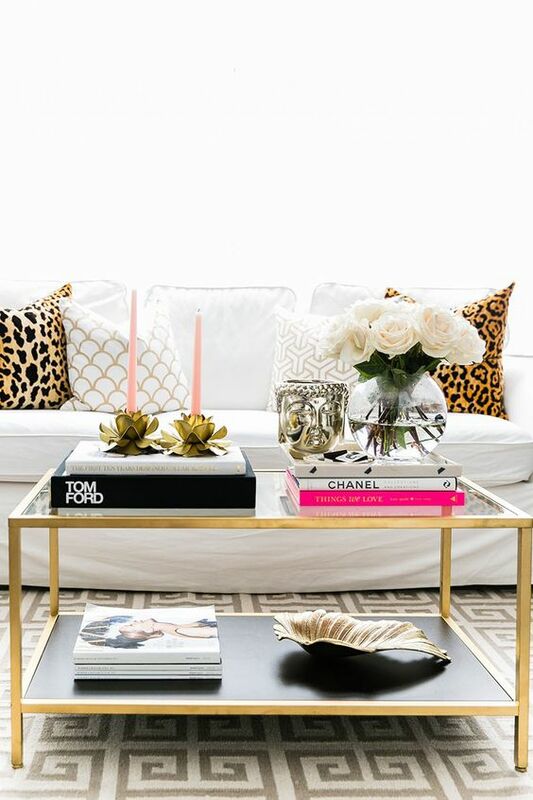 Whether it’s a velvet couch, a fur foot stool, or a gold coffee table, you prefer a bold and glamorous style. The shinier it is the better. Gold and silver are a must and a crystal chandelier wouldn’t be a bad idea either. Bold patterns are common along with pink/blush accents, and tufted furniture. Go big or go home. You don’t have just one style that you like. You may appreciate traditional wood work but you also really like that modern royal blue velvet fabric. You put the two together and voila, you have your own style. Eclectic style is all about blending two or more opposite styles tastefully within your home. You may have a mid century sideboard, a boho wall hanging, a tufted chair with an antique coffee table. You don’t stay inside the box, you blend until it feels right to you. I think it's important to note that not everyone will fit within just one of the categories above. That's what makes your style your own. I personally LOVE Mid Century Modern but I also like industrial metals and exposed brick. And if you don't really love any of the styles listed above, this is just the 8 that I would consider most popular right now. There are so many other styles that you may fall into. It just takes some research and lots of Pinterest pinning to figure out what you like and don't like. Have any more questions about your style? Ask me in the comments below!